Welcome to the course! I am writing this welcome message to you with a full and open heart. I’m both honored and delighted that you’ve chosen to take this journey with me. This course reflects the culmination of many years of exploration, practice and experience. Like you, I have long felt there is something more to life than simply following the rules established by others, no matter how pervasive and well-accepted they are. Many of those rules are rooted in fear, in the misguided need to “prove” ourselves worthy by gaining the approval and acceptance of others. I followed the rules for a long time, and ended up feeling hollow and profoundly discontented. I felt called to develop a holistic and deeply spiritual approach to life, but I didn’t want to sit in a cave on a mountaintop or hide myself away in a monastery. I gave myself permission to want both a joy-filled, deeply satisfying life in this material world AND a profound connection with the Divine that would uplift and sustain me. At first it seemed those two desires were at odds with one another, but deep in my heart I knew that a spiritual life and a happy, fulfilled life in the material world were two aspects of the same experience. Much of my journey was focused on how to translate the spiritual concepts that inspired me into a full, lived experience. And that’s why I created this course. I’ve become a bit of an expert at the translation process! I discovered that genuine self-love is the conduit through which the Grace of the Divine flows into our day-to-day lives, and I learned that self-love can be consciously and intentionally cultivated. And as it is, our lives blossom in beautiful and unexpected ways. This is what I want for you. I want you to know yourself as the magnificent, Divine being that you are, and to live from that joyful place. I want your life to be satisfying and filled with delight. I want you to live, full-out, the life you want to live, the way you want to live it. Please take a moment, right now, to acknowledge and appreciate yourself for embarking on this course. Your heartfelt commitment to it has the power to literally put your life on a whole new trajectory. This is cause for celebration! So let’s get started. This is the “home page” for the course, so be sure to bookmark it. (Please note, you will need to be logged into the site in order to get to the page.) Links to each of the course modules can be found in at the bottom of this page, and below the module links are links to the various additional resources that are referenced throughout the course (audio files and PDF files). Details about how to navigate through the course are included in the Introduction, so please start there.  If you have any questions about accessing the material, please email me at suzanne@suzanneeder.com. And now…begin. I am with you in spirit, cheering you on and celebrating every success and every “aha!” moment with you. Give this course your full energy and attention, but don’t get heavy or overly serious about it. The more fun you can have with it, the better everything will flow. Note: Each File will open in new browser window so you may continue with course text.